Oleg Shuplyak, the Ukrainian artist is the maker of human incarnated portrayals which are first release on Laughingsquid a day back. 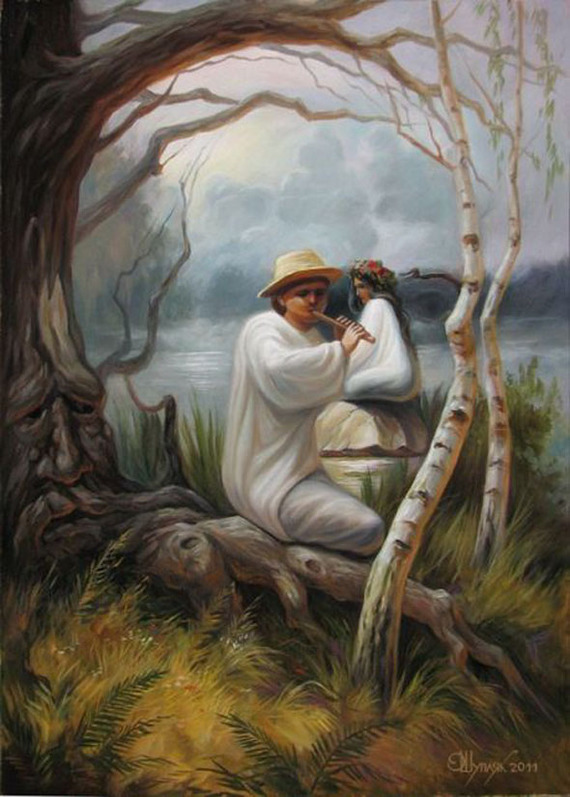 This is probably the first article on the Human Incarnations in Optical Illusion portraits. The artist concentrated on the figures which were historically known. 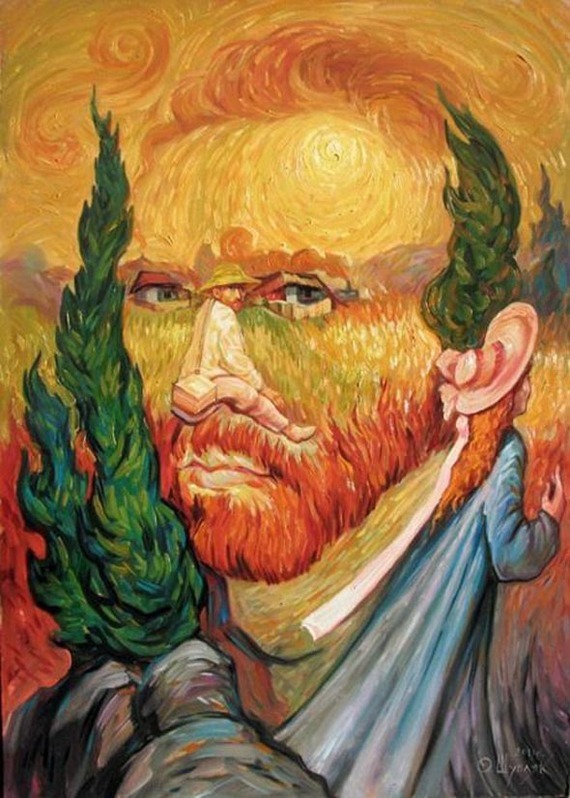 He used different elements to devise a human face in his painting. These paintings are catching the attention of all art lovers for its unique and eccentric themes. Several versatile figures, articles and objects aggregate to form such paintings which delude the human eye. Such master pieces are made by amazing art workers who are gifted by God and so far this talent belongs to Oleg Shuplyak only. It combines a variety of anatomies, nature, objects and several other figures to form human faces in the paintings. A common eye takes time to interpret such piece of art. 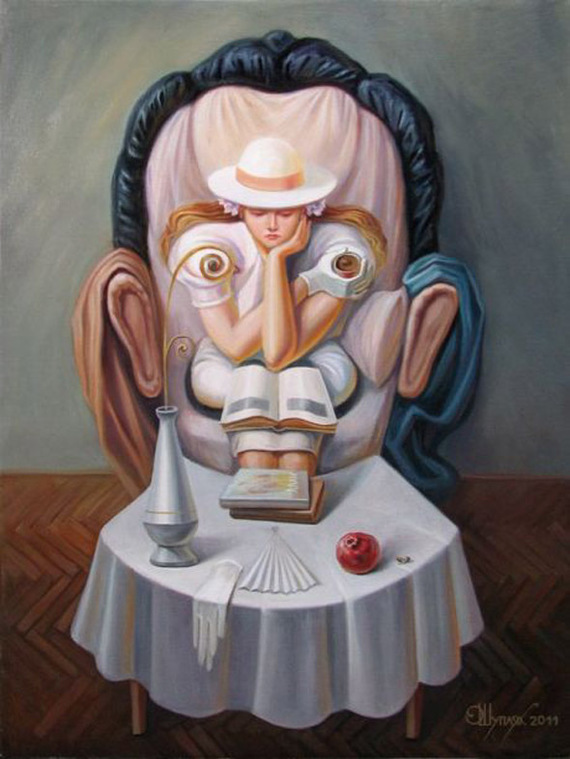 The Optical Illusion paintings, especially the one which presents the human figures challenge your mental faculty. It perturbs your mind. Some find it baffling while other shows their lovesomeness for it. The talent which depicts in his work is unparalleled. These shapes are the masterpiece of creative thinking.